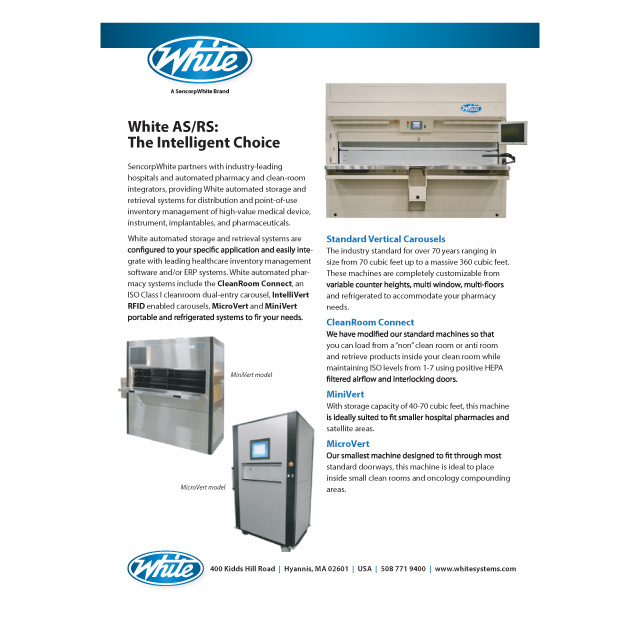 SencorpWhite partners with industry-leading hospitals and automated pharmacy and clean-room integrators, providing White automated storage and retrieval systems for distribution and point-of-use inventory management of high-value medical device, instrument, implantables, and pharmaceuticals. White automated storage and retrieval systems are configured to your specific application and easily integrate with leading healthcare inventory management software and/or ERP systems. 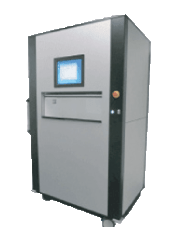 White automated pharmacy systems include the WillCall Rx HIPPA compliant fulfillment system, IntelliVert RFID enabled carousels, MicroVert and MiniVert portable, secure point-of-use vertical carousels, and CleanRoom Connect, an ISO Class I cleanroom dual-entry carousel. White, a market leader in innovative, integrated inventory management and high-density storage solutions, is one of the original carousel manufacturers and has stayed at the cutting edge of development over the last 70 years.